Loch Lomond less than 2 miles away. 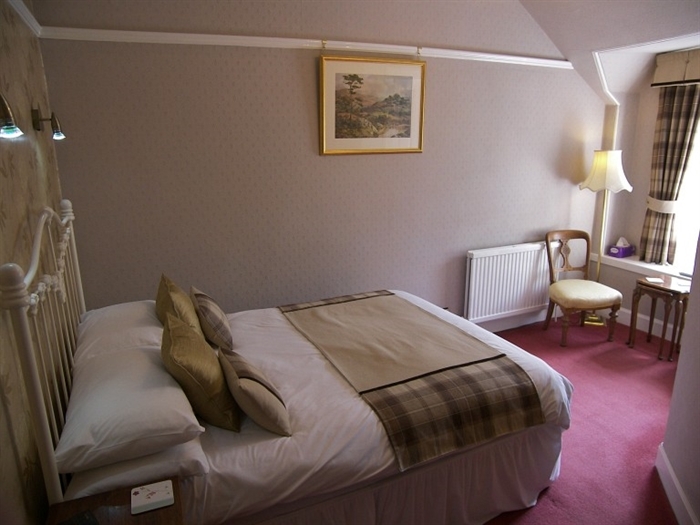 Situated in the picturesque village of Arrochar by the tranquil shores of Loch Long. This recently refurbished historic home is full of traditional Scottish charm. 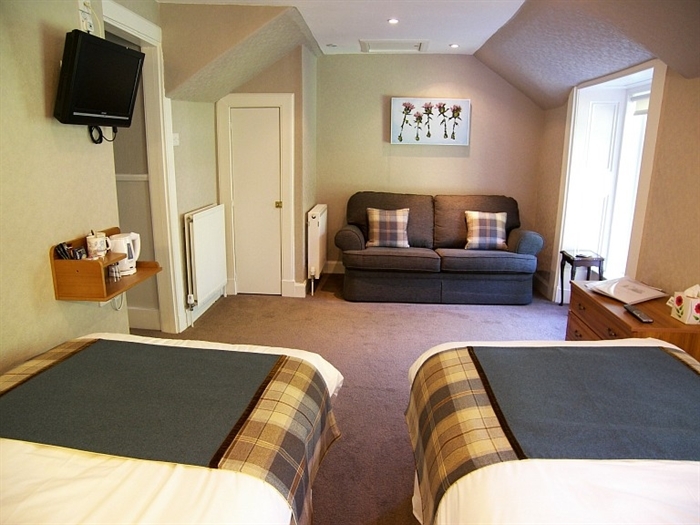 Relax and unwind in peaceful surroundings only 1hr from Glasgow city centre. 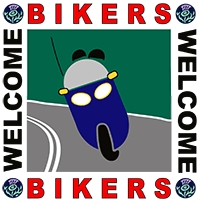 An ideal base to explore Glencoe, Oban, Inveraray, Stirling, Fort William and of course Loch Lomond. Parking is in the grounds and the village location means we are a 10 minute walk from places to eat and drink. 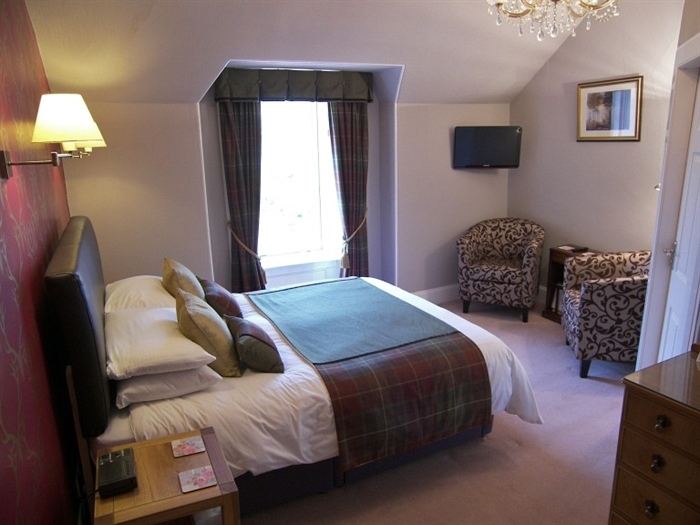 We have 5 individually designed rooms all with their own en-suite. 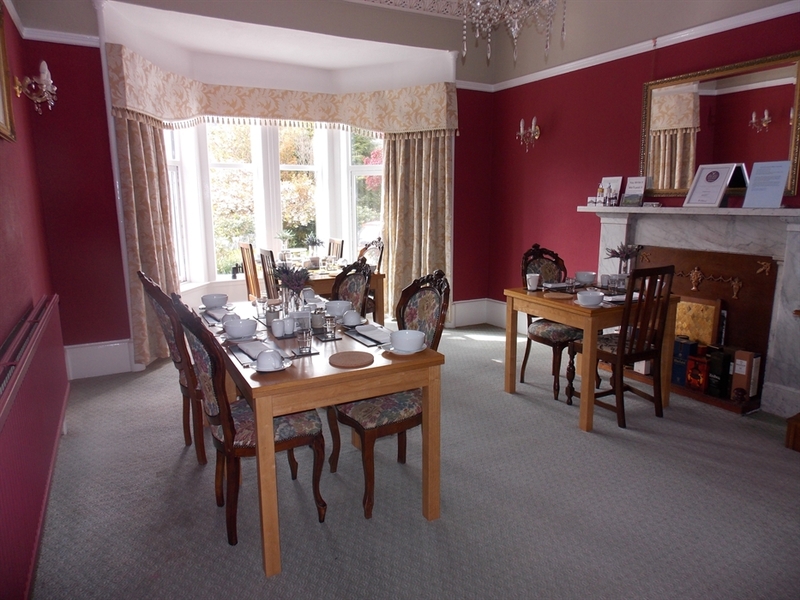 Breakfast is cooked to order and served in the breakfast room with views of the Loch. Our cancellation policy is 7 days and no payment is taken in advance. There are magnificent and changing views out across the garden to the Loch and the Arrochar Alps with their distinctive profile of Ben Arthur (The Cobbler). 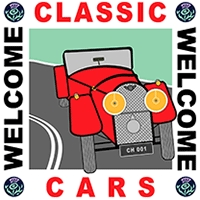 We offer a warm and friendly welcome providing a relaxed atmosphere for you to enjoy your holiday. We have 5 individually planned rooms making each one different and therefore we are able to offer you a choice of accommodation. The rooms all offer comfortable en-suite accommodation and the house retains many of its original features such as high ceilings and cornices. The large long windows and low cills mean you can actually sit in the window and admire the views of the garden, loch, Arrochar Alps and surrounding hills. 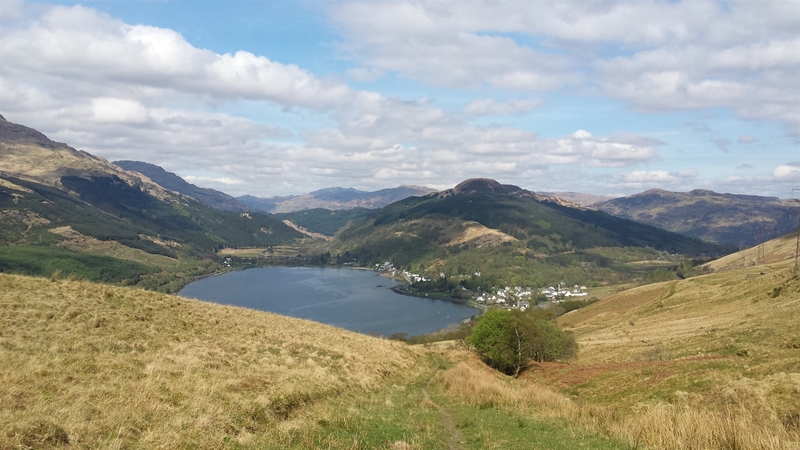 Situated within Loch Lomond National Park Fascadail House is an ideal peaceful base for you to explore the National Park and Loch Lomond as well as the stunning scenery in the surrounding area. Glencoe, Oban, Inveraray with its Castle and jail, and Benmore botanical gardens are all within easy reach. 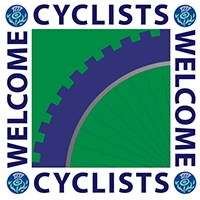 You also have easy access to main routes North & South with Glasgow less than an hour away. Perfectly situated no more than 1 mile from the main road (A83) which runs through the centre of the village you are still within a 10 minute walk of the village shop, restaurants, pubs, hotels, and cafes. 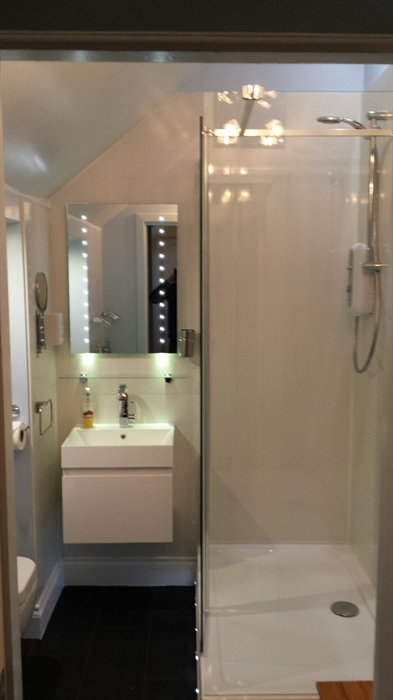 With quality and comfort in mind all our bedrooms offer independently controlled central heating, tea and coffee making facilities, hair dryer and colour TV. King Size Four Poster Hand Carved Victorian style Bed with en-suite and its adjoining sitting room. 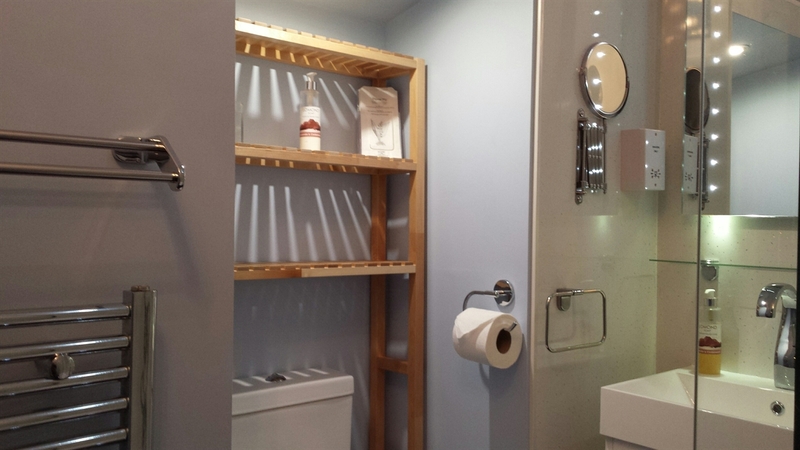 Twin/ Family room with adjacent bathroom all within your own private suite. 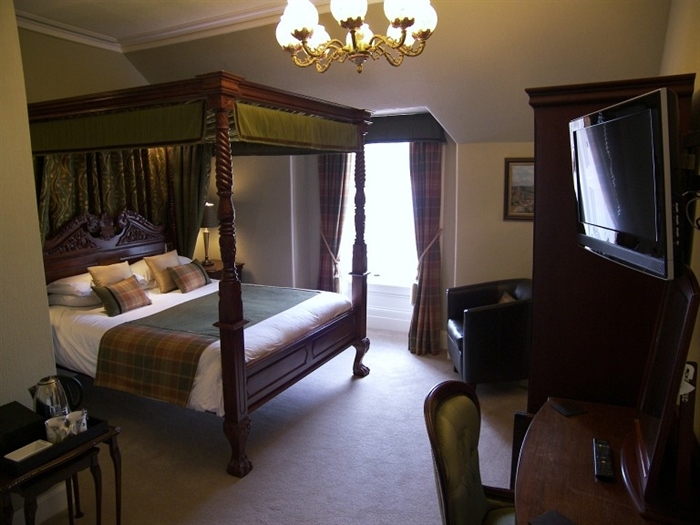 Prices from £30 per person per night including full Scottish breakfast. Breakfast is cooked to order and served in our dining room which overlooks the garden and the loch. You can choose from fresh fruit, cereals, porridge, fruit juice, full Scottish breakfast including Lorne sausage and black pudding made and supplied by the local butcher or you can opt to have toast with home-made marmalade and jams. Loch Fyne Kippers are also available. 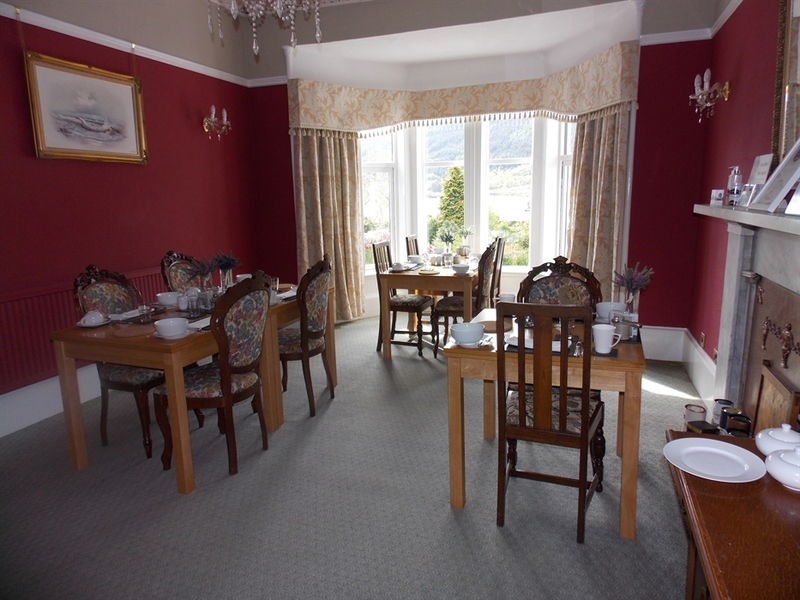 The dining room has large bay windows which look over the feature gardens with fountains, pond and many varieties of trees, shrubs and flowers, sloping down to the shores of Loch Long. You can sit and take in the views just watching the world go by or be fascinated by the many variety of birds that visit our bird feeder. You may prefer to find a secluded place in the garden a favourite spot is by the burn running through the grounds. The establishment accepts debit cards for payment.